PSA Test: Should You Be Screened? You are here: Home / Mens Health / PSA Test: Should You Be Screened? Screening to identify prostate cancer in patients who don’t exhibit any symptoms can help to discover the disease in its early stages when it can be treated more effectively. Yet for many men the risks of screening for prostate cancer may exceed the advantages. Several different medical organizations differ in their opinions as to who should and who shouldn’t get a PSA screening test. While some organizations have established their own definitive guidelines for PSA screening, others believe that the decision to move forward with a screening is up to the patient and their doctor. However the first step towards making a decision is to understand all the facts and take all the risk factors into consideration. The principle objective of a PSA test is to discover prostate cancer growth in its earliest stages before it becomes life threatening. In patients who have an aggressive form of prostate cancer early identification could be exceptionally useful if the cancer hasn’t spread beyond the prostate gland to other parts of the body (metastasize) . Generally speaking if detected early prostate cancer is both easier to treat and has a higher likelihood of being cured. Early detection also means that patients will require less aggressive treatment options thereby reducing the risk of certain side effects, such as erectile dysfunction. 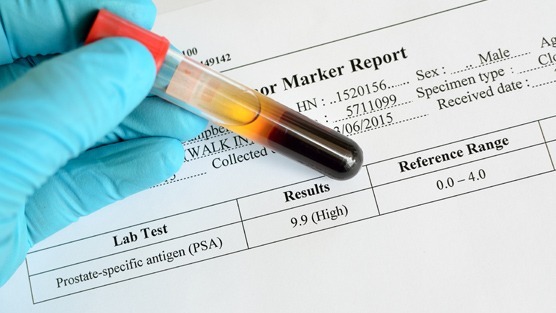 You may be confused as to how a simple blood test for prostate cancer can have certain drawbacks. Not all prostate cancers require treatment and a false positive test result can lead a patient to seek out treatment they don’t even need. Treatments for prostate cancer also carry potential side effects which include: urinary incontinence, erectile dysfunction and bowel dysfunction which can adversely affect the quality of a man’s life. Ultimately, the choice is yours. If you’re seriously considering having yourself screened for prostate cancer, it’s advised that you speak with your doctor. They will provide you information on both the benefits and disadvantages of prostate cancer screening in addition to your individual risk factors. The best decision you can make is on whether to be screened is one that is made with all of the facts.